THE ROMANTIC CONCERT: BELLA ITALIA! Johann Sebastian Bach, of all the great composers of classical music, reigns supreme. Yet the composer that Beethoven called “the immortal god of harmony” had his favorite composers as well. When Bach happened upon a Concerto for Oboe and Orchestra by an Italian composer named Alessandro Marcello, he was intrigued enough to arrange it for himself for solo keyboard. Bach, of course, isn’t available to play his version. But the Grand Rapids Symphony does have principal oboist Ellen Sherman. Sherman will be soloist in the original version of Marcello’s Concerto for Oboe with the Grand Rapids Symphony for The Baroque Concert: Bach and Beyond at 8 p.m. Friday, Oct. 12 in Grand Rapids. 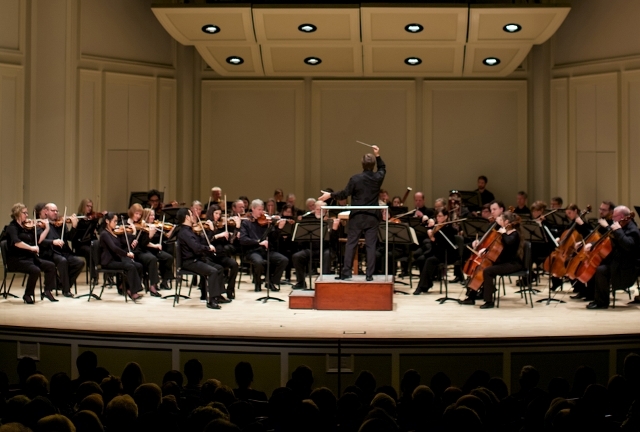 The Grand Rapids Symphony travels to Holland to repeat the program at 8 p.m. Saturday, Oct. 13 at Hope College in the Jack H. Miller Center for Musical Arts. Music by Bach, by his contemporaries, and by a modern composer inspired by Bach open the Grand Rapids Symphony’s 2018-19 PwC Great Eras series. Single tickets as well as four-concert season subscriptions remain available. Music Director Marcelo Lehninger will lead the Grand Rapids Symphony in the concerts including Bach’s Orchestral Suite No. 3 in D major, BWV 1068, which is especially popular with audiences because one of its five movements is well-known as Bach’s Air on the G String. Principal oboist of the Grand Rapids Symphony since 2001, Sherman performed Marcello’s Oboe Concerto with her very first orchestra as a full-time professional musician in Santiago, Chile. A recent graduate of the New England Conservatory of Music, just beginning her master’s degree at The Juilliard School of Music in New York City, Shearman learned about the audition from a notice posted on the elevator door. Representatives of the Santiago Philharmonic had travelled to the capital city of Chile to New York City to hold auditions. Sherman was offered the job, though at first she was reluctant to give up her graduate studies. With Juilliard’s promise to re-admit her when she returned, Sherman was off to the country on the west coast of South America that she knew nearly nothing about. But her year and a half in Chile, one of about 15 musicians from North America in the orchestra, turned out to be a fabulous experience during which Sherman performed three of Mahler’s symphonies. Sherman’s career included stings with the Utah Symphony and as principal English hornist with the New Zealand Symphony. 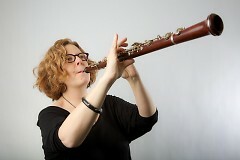 She also has served as principal oboe with the Memphis Symphony, Virginia Symphony and New Hampshire Symphony. The concert includes Bachianas Brasileiras No. 9 by Brazil’s most famous composer, Heitor Villa-Lobos, who composed a set of suites of music that fuse Brazilian folk and popular melodies with harmonic and contrapuntal methods of composition that were used in the high Baroque era. Between 1930 and 1945, Villa-Lobos composed nine such suites for instrumental ensembles of varying sizes. Suite No. 9 for string orchestra was the last one he composed. Additional music on the program is Dieterich Buxtehude’s Fanfare and Chorus and Giovanni Gabrieli’s Canzon septimi toni a 8. Highlights of the evening concert will be performed at 10 a.m. Friday, Oct. 12 as The Baroque Coffee Concert to open the Grand Rapids Symphony’s Porter Hills Coffee Classics series. Concerts in the series last one hour and are held without intermission. Doors open at 9 a.m. for complementary coffee and pastry before the 10 a.m. concert. On Saturday, Oct. 13, the Grand Rapids Symphony will travel to Hope College in Holland to repeat the full program. 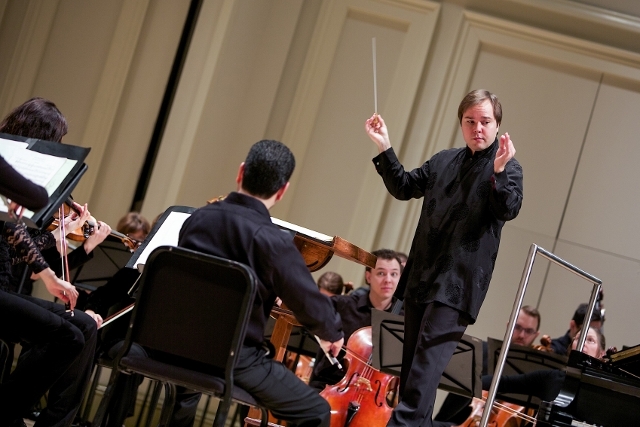 The Baroque Concert at Hope College will be held at 8 p.m.
Tickets for the PwC Great Eras series concert on Oct. 12 and for the Baroque Concert at Hope College both start at $26 adults, $5 students. Tickets for the Porter Hills Coffee Classics series start at $16. 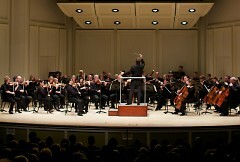 Call the Grand Rapids Symphony at (616) 454-9451 ext 4 or go online to GRSymphony.org.